Gwynedd Council: As much use as a chocolate tea pot? A ridiculously out of place sign! So I am often totally amazed by small seemingly totally obvious things that would help bring karmic alignment to or world, that are totally over looked by bureaucrats because they have an inability to engage in join up thinking. 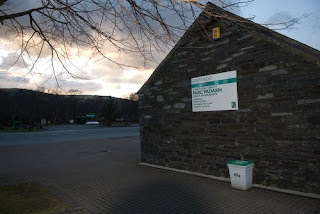 I was in Parc Padarn, the country park in which Vivian Quarry sits and I was amazed to see the above sign as large as life and twice as ugly on the side of the craft shops in the car park. Now I appreciate that Gwynedd Council have taken the time to think about the recession and the need to drum up business, however it seems a little out of keeping with the overall feel and sense of place. Even more ridiculous is the fact that at the other end of the row of low terrace type building is another sign (below), advertising the business attached that makes Slate signs. It just seems obvious to me, pay the local slate sign shop, to make a local slate sign, advertising the local shops in the Slate Museum car park. 1+1=2. QED. Mind you this is the County Council that has possible the worst tourism policy in the world, and actively go round ticketing cars on the High Street in Llanberis, with special concentration of traffic warden activity on sunny weekends and bank holidays. A council that is dead set on reducing the number of parking places rather than creating them, a council that is about to stop funding the Sherpa bus system into the hills, a system that was virtually impossible to use anyway. I have always found interesting that the control parking zone in Llanberis runs all the way along the high street, right up until you get to one of the local councillors home’s! Anyway I’d like to raise a glass to bureaucracy and total stupidity. It makes me laugh, even though I paid for that sign with my council tax! So in answer to my question, no….. You can eat a chocolate teapot! 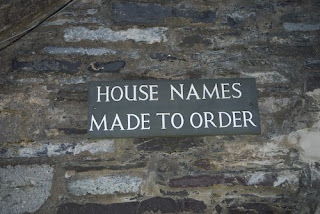 Why not use the native stone sign maker at the other end of the building? 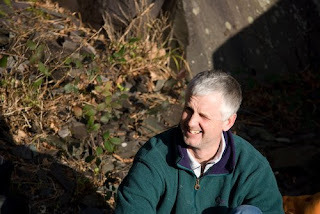 Posted on 1st February 2009 Categories UncategorisedLeave a comment on Gwynedd Council: As much use as a chocolate tea pot? 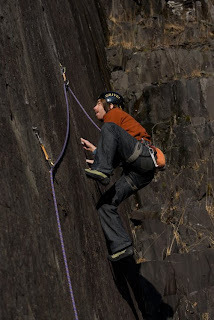 Modern life is full of things that get in the way of climbing, whilst I don’t suffer from the affliction of a family or WAG to hinder my climbing days out. 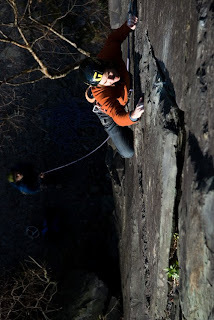 I do suffer it by proxy, as many of my favourite climbing partners are with family. If that’s not bad enough we also have to battle with no synchronised working life, if only we all worked Monday to Friday, 9 to 5, it would be so easy to meet up at weekends. The final piece of the jigsaw is the weather, and given North Wales seems to try and stand resolute against the Atlantic conveyor, lining up storm front upon storm front. So given that my climbing partner has a climbing pass, neither of us are working and the weather is suitable for climbing then and only then are we able to get out. So as you can image that’s not as often as you might like! Today though like a lunar eclipse all the necessary celestial bodies came into alignment and we got out. Whilst the media are warning of a cold snap, the sun was out and a locals circuit of Vivian was just magical. 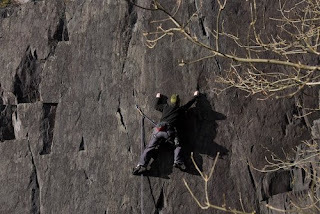 It is the joy of living in Llanberis that when it comes good you can run out of the house and be on sun drenched rock in 3 minutes. 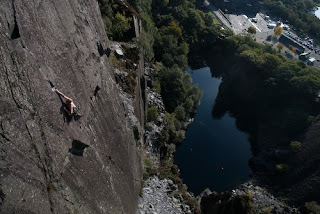 Although if you read this blog you’ll know I have reasonably regular hits of Vivian quarry, but is so good is criminal, the trick is to mix and match the route. So today it was a warm up on Mental Lentil and Psychotherapy, before running up to the Dervish level. 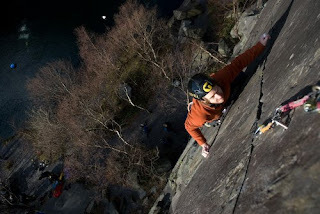 Now I had kind of psyched myself up last night to climb the ‘Dervish’, the classic E3 first ascended by Stevie Haston, in 1981, cleaned with the famous knife ‘borrowed from Pete’s Eat. Now I ran into Katie his eldest daughter today, she was working in V12 for a day off from looking after her three lovely kids, whilst daddy took them to the climbing wall. Climbing seems to be in their blood! 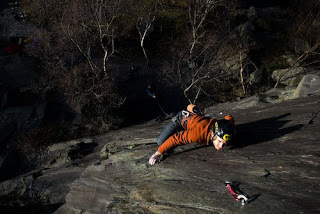 Anyway I haven’t climbed Comes the Dervish for a few months, and for one of the first time pushing myself this year it was a pleasant cruise up familiar ground. It funny, whilst for many this is the route of their dreams for locals it seems like one of the main annual fitness check ups. 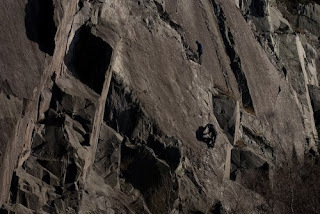 Each time though I am blown away with its quality, a slender line of weakness heading up a blank swathe of rock, a testament to Stevie’s vision, and undoubtedly a key turning point in slate climbing where people turn to the eponymous slabs. Anyway I hope you got out before the weather turn and had at least one day at least half as good as the one I had today, then you’d have had a classic day. 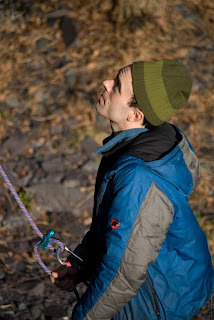 Why is climbing so good? Well most of Llanberis’ finest were out in force at Time in Bangor last night shaking their arses to Mr Scruff. An awesome night was had by all, it was amazing since most of us hadn’t been out in Time for a while. In fact I stopped going there four years ago when I was teaching at the local college, as it was getting embarrassing running into my students! 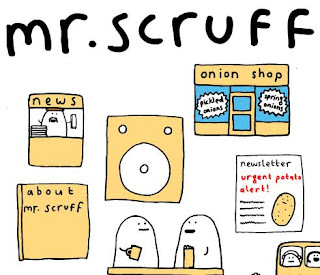 Anyway I give you the TUNE of the night below, with some of Mr Scruff’s own visuals. Anyway, I am off out to try and climb some Arctic rock, so enjoy the tunage.